GRAFENWOEHR, Germany — Staying informed of weather and road conditions is easy. But understanding what occurs between the fall of the first snowflake and the decisions that follow is more complex. Inclement weather that arrives during the fall and winter months sets into motion a series of events here that the public is largely unaware of, sparking curiosity, pushing debate and even fueling public outrage. The garrison officials who collect and analyze weather conditions are, of course, at the mercy of Mother Nature who, at a moment’s notice, can dump inches of snow over Bavaria or plaster streets with sheets of ice — as many will recall from that dreadful and now notorious early morning ice storm that paralyzed Bavaria Feb. 2, 2017. Those same officials are also faced with lesser known challenges like impending deadlines and limited resources. Department of Defense schools, for example, need to know by 3:30 a.m. whether schools will be delayed or canceled, given that buses must prepare to make their scheduled routes. And those military police patrolling the streets — whose observations help determine road conditions, delays, early dismissals and closures — only have the time to safely drive a specific route, not the hundreds of miles of pavement meandering through Bavaria’s dozens of villages where thousands of people live and commute. Bavaria, your safety remains our highest priority. We owe it to you to always provide the best guidance on weather and road conditions. And given that the weather here is so unpredictable, we’re proposing a new tactic to expand our visibility of conditions in our footprint. You can help. One community member suggested we provide an outlet allowing community members to report road and weather conditions in their area. Great idea! That puts eyes on areas that may otherwise go unnoticed. Community feedback can become part of the decision-making process to call a delay, early dismissal or closure. We’re using the hashtag #BavariaWeatherEyes. When weather near your home poses a hazard, report it. 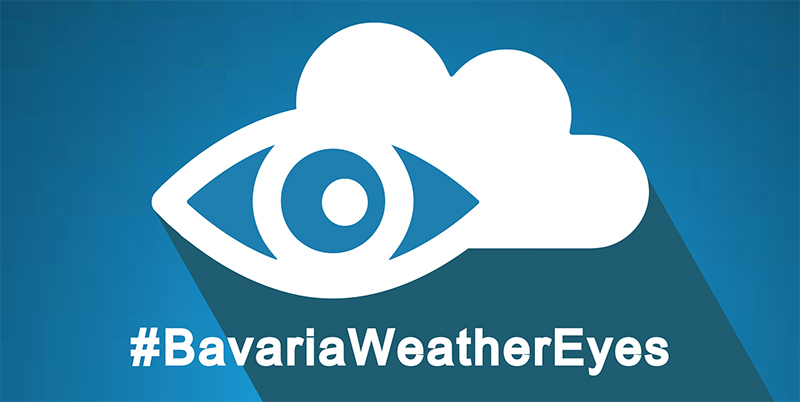 From your Facebook Groups or Profile page, report your location, date/time, weather and road conditions and stamp it with #BavariaWeatherEyes. Ensure we can see your post by putting it on a public page or setting the post itself to be publicly viewable. Alternatively, on nights we predict potential bad weather, we’ll post to Facebook soliciting feedback. Report there. We’ll monitor trends, which can be used to influence the decision to call school and office delays.